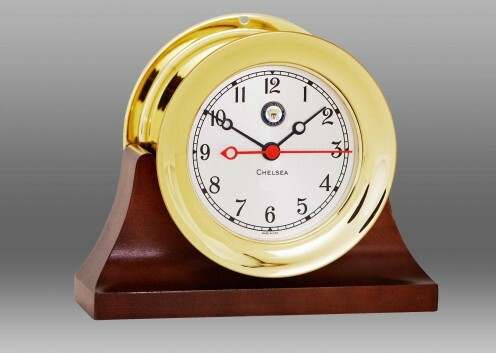 For those who seek the charm of our traditional Ship’s Bell chime, but the convenience of a fine German quartz movement, we offer the Shipstrike Quartz clock. 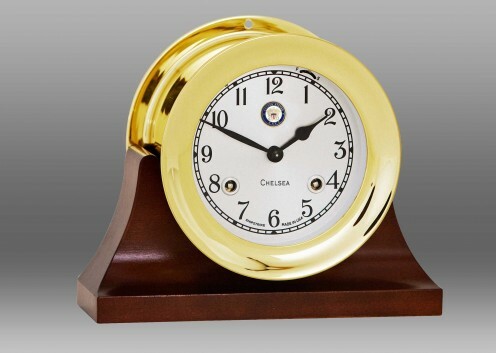 Crafted from forged solid brass, this clock features an easy-to-remove screw bezel and a sweep second hand. The Shipstrike is also available with a mechanical movement. 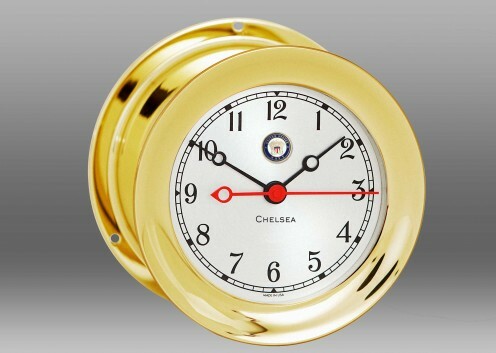 Our Shipstrike Mechanical Clock offers many of the same distinctive features as our signature Ship’s Bell Clock – including chiming bell tones, a high-quality forged solid brass case and hinged bezel. However, unlike our Ship’s Bell, this specially-engineered clock incorporates a precision-crafted jewel German mechanical movement. 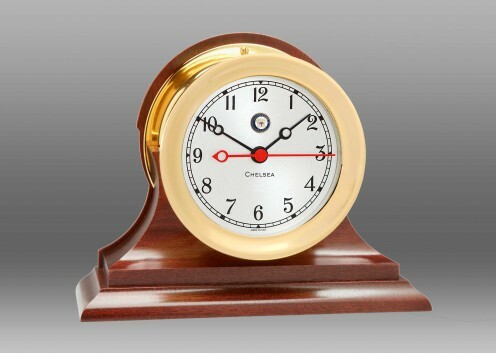 This special-edition timepiece bears the official insignia of the US Navy. Custom made by skilled artisans and hand-applied by master clockmakers, each insignia medallion is crafted from solid brass, brilliantly colored with hard enamel and polished to a smooth, satin finish. A signed certificate of authenticity verifying the year and details of the creation of this US Navy timepiece is available upon request.